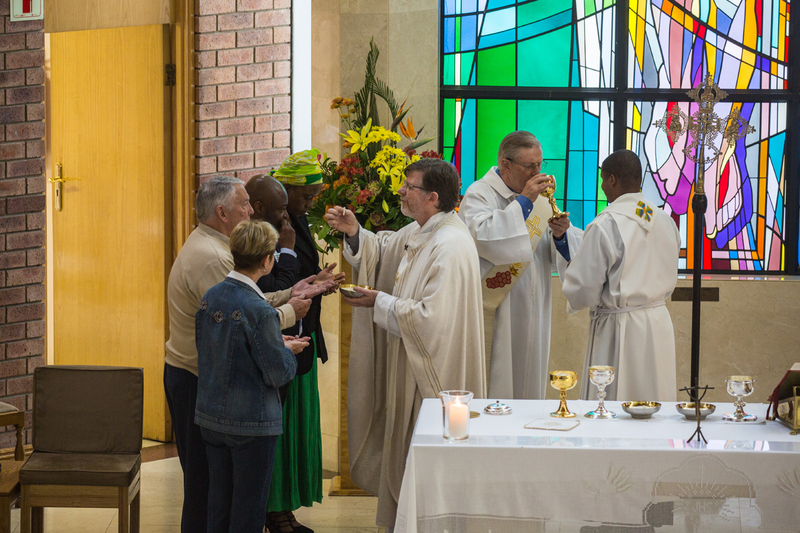 During the Liturgy of the Eucharist, extraordinary ministers assist with the distribution of Holy Communion. They also bring the sacrament to those who are sick and homebound. In this way those who are unable to participate in Sunday Mass can still share in the communion of sacrament and friendship. 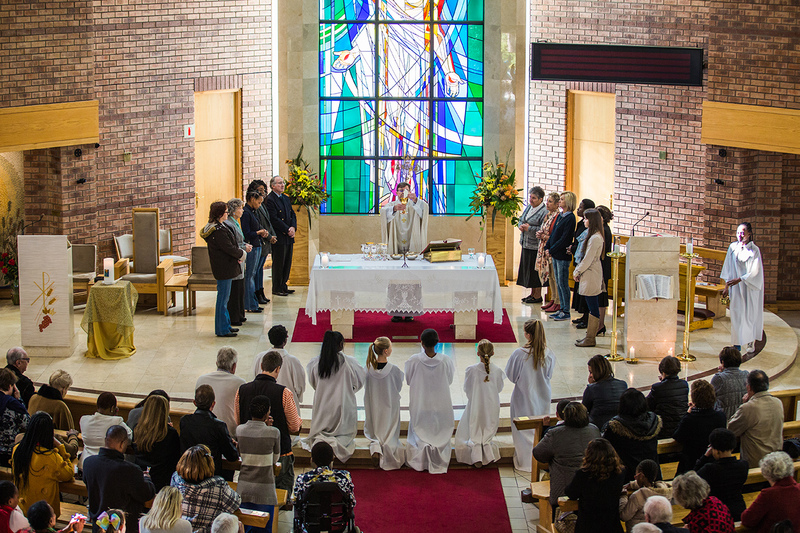 The ministry of the extra-ordinary ministers of Holy Communion was established more than twenty years ago in the Parish and continues to serve the community. 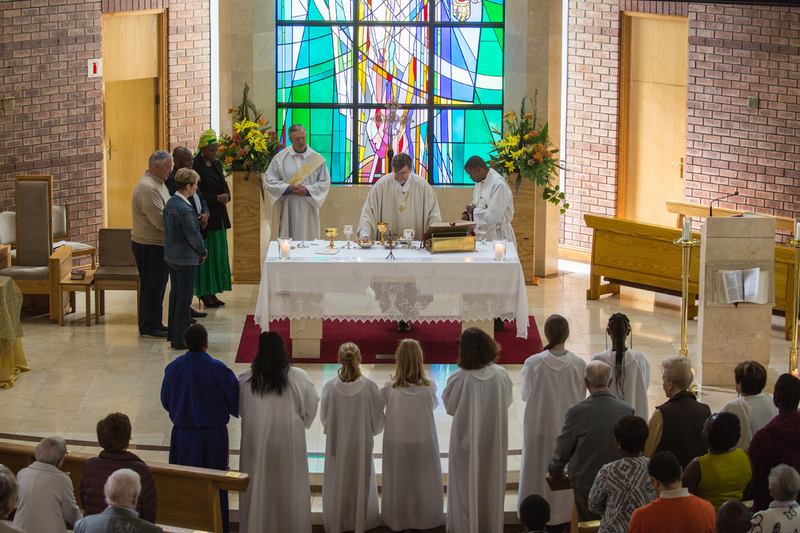 There are about 60 extra-ordinary ministers of Holy Communion who distribute Holy Communion on Sundays and Weekdays as well as visit the homebound and those in Sandton Clinic and Fourways Life. Ten ministers go out every Sunday morning, visiting about 60 people. This ministry is very much appreciated by the homebound and particularly in some cases the visits are the only people these folk see on a weekly basis. Mornings of recollection are held usually twice a year to help ministers grow and deepen their spiritual lives. In March 2014 Fr Nick Harnon, giving ministers an opportunity to reflect and spend time with Our Lord, directed such a morning. We are always looking for additional ministers and any parishioners who feel they can commit to this ministry should speak with either of the deacons or Fr Keith. Training is provided and also guidance for those who distribute Holy Communion to the sick and housebound.